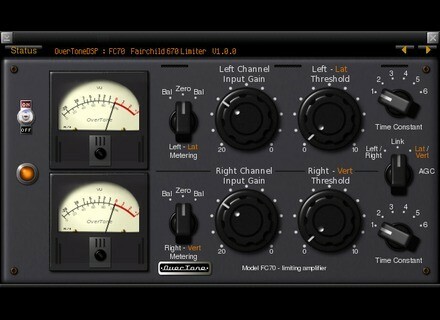 FC-70, Software compressor from OverTone DSP. Product replaced by the OverTone DSP FC-70 3. A few days after releasing the Windows version, OverTone DSP announces the availability of the Mac OS X version of its FC-70 limiter plug-in. 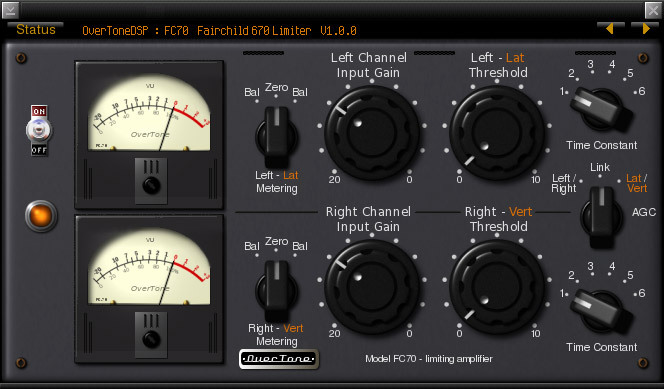 The FC-70 is Fairchild 670 soft knee limiter emulation and provides three stereo modes (Linked, Independent and Lateral/Vertical). The plug-in is now available as a VST for Windows and AU for Mac OS X 32 and 64-bit. It costs £25 and you can download a demo version from www.overtonedsp.co.uk. The PPG WaveMapper in Mini edition Wolfgang Palm announces the soon release of the Mini version of his WaveMapper virtual synth for iPhone and iPod Touch. 2 new Avid Fast Track audio interfaces Along with Pro Tools 11, Avid introduced this morning two new Fast Track compact audio interfaces for mobile musicians. Avid unveils Pro Tools 11 Avid announces that the eleventh version of its Pro Tools sequencer will be available on May 28th. Good news, it's now possible to bounce offline!